With these little beauties landing on the mat Friday, I just had to grab my Tyran rod with my satchel to get on the canal for a couple hours that day. 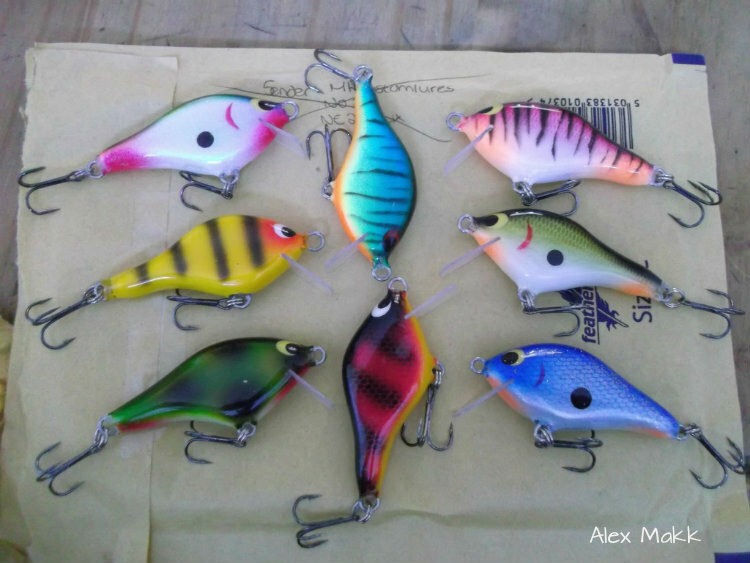 small collection of Mark Houghton's 60mm 'Crank 'n' shad lures. So result of the few hours spent on a slightly windy & cold canal was a healthy Jack at around 6lb 8oz. 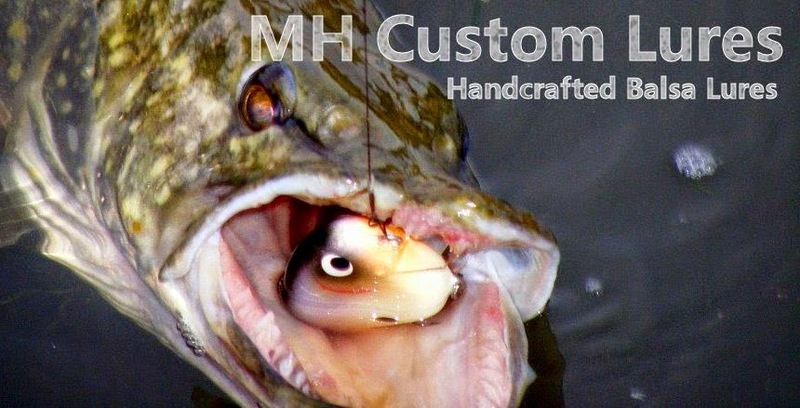 surprisingly this once decided to swallow the whole lure. and by 'eck once it clicked on that it is not an edible food source it went scranny! put a good bend in the 6ft tyran and some spectacular tailwalks. 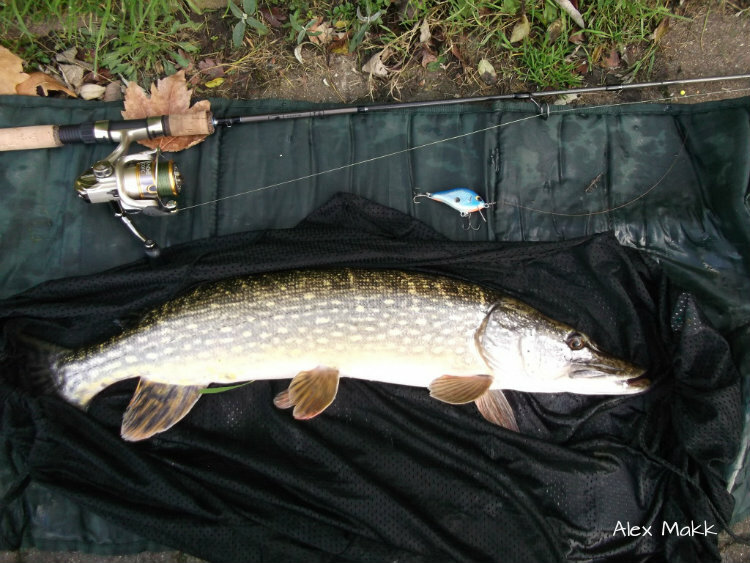 whilst unhooking a chap was passing as I was cursing, he asked what is wrong and i explaned to him that with the Jack swallowing the lure in one, the end treble was dangling near the gills and gill rakers which can cause the pike serious damage. 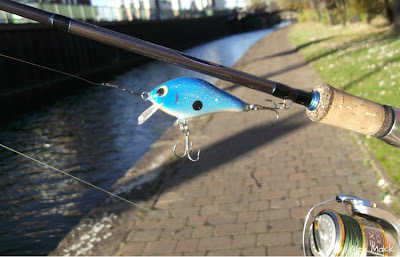 Before long the Jack was sucessfully and safely unhooked, The chap commented on how well the jack looked and congratulated me on a sucessful yet tricky unhooking process and safe release back into the depths. And a closeup on the christened lure. All in all ver nice couple of hours, if any of my blog readers wish to find out more on the lures in this post, please click here :- Mark Houghton custom lures.